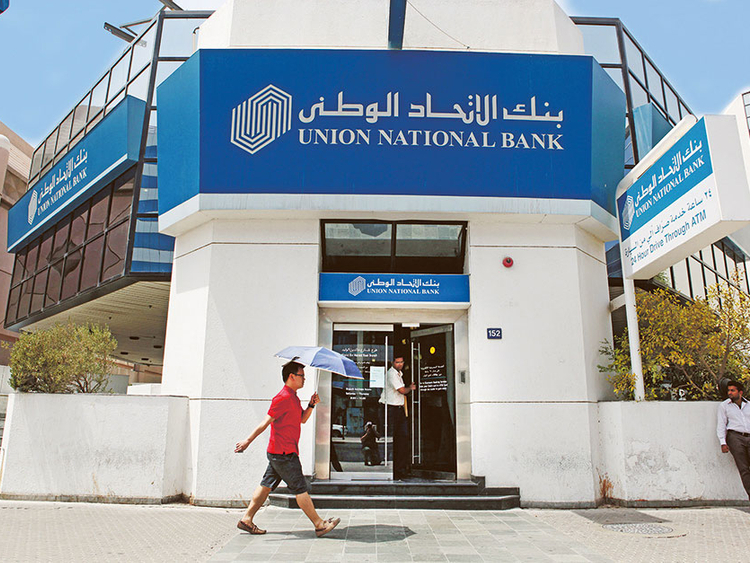 Dubai: Union National Bank (UNB) reported on Tuesday a 28 per cent year-on-year decline in its net profit, which reached Dh1.19 billion in 2018 as both expenses rose and income dropped. The figure brings net loss attributable to shareholders to Dh79 million in the fourth quarter of 2018, down from the Dh287 million in profit recorded in the same quarter of 2017, according to Gulf News calculations. The loss in property accounted to Dh232 million, UNB’s report said, as the bank also saw a reduction in fees and commission income due to lower volumes and lower gains on trading in foreign currencies and derivatives. Non-interest income fell by a total of 48 per cent year-on-year in 2018. Total interest and Islamic financing income rose by 6 per cent in 2018. Meanwhile, operating expenses rose 9 per cent during the year as impairment charges went up by 4 per cent to Dh826 million. UNB reiterated in its management report plans to merge with Abu Dhabi Commercial Bank to then together acquire Al Hilal Bank. “This merger will create a preeminent financial services group, well positioned to support the economy. The merger is subject to the approvals of the shareholders and regulators,” said Mohammad Nasr Abdeen, UNB’s chief executive officer. The banks confirmed two weeks ago their merger plans, which are expected to create the third largest UAE bank with Dh420 billion in assets. The two largest banks in the country are First Abu Dhabi Bank and Emirates NBD, both of which were created as a result of mergers. In terms of UNB’s balance sheet in 2018, loans to customers rose by 2 per cent to Dh72.3 billion, and deposits fell by 2 per cent to Dh77.4 billion. The bank said loan growth was driven by an increase in the corporate bank business offset by a decline in the consumer portfolio.